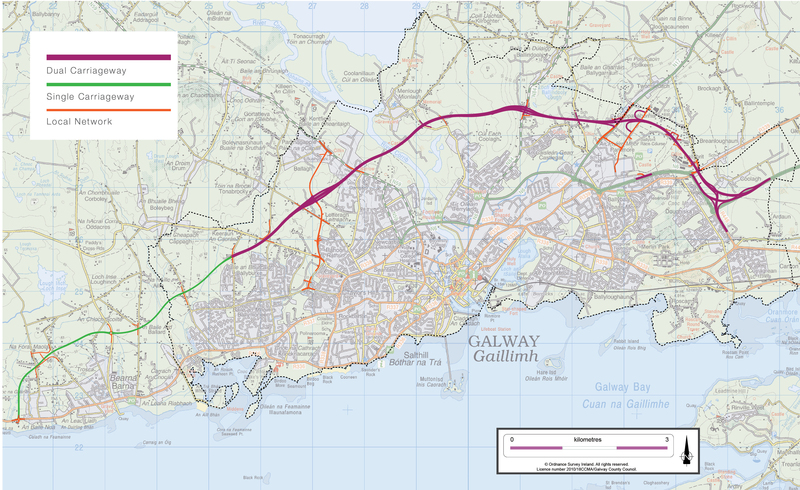 The planning application for the N6 Galway City Ring Road (GCRR) has been finalised and will be submitted to An Bord Pleanála upon government approval which is due shortly. The N6 GCRR is a key compnent of the Galway Transport Strategy (GTS) which realises Galway City and County Council’s vision of all elements of transport working together to achieve an integrated sustainable transport solution. Further details of the GTS are available at https://www.galwaycity.ie/galway-transport-strategy. When the planning application is submitted to An Bord Pleanála, the statutory process will begin and legal notification will be posted to all property owners from whom property is to be acquired as part of the project and those with a legal interest in those lands. The legal notification will comprise of an individual letter and a server map (drawing showing lands to be acquired). Approximately 1000 letters are to be issued. When the planning application is submitted, a submission can be made to An Bord Pleanála in respect to the Environmental Impact Assessment Report within 8 weeks of that date. Those included in the Motorway Scheme/Protected Road Scheme can make an objection, within 8 weeks of the application date, with respect to the proposed acquisition of their property. The planning application documents will be available on a dedicated website, in hard copy in Galway City and County Council offices, an Bord Pleanála offices and certain local libraries.